Domenic Forte, advised by Prof. Srivastava, takes first step in career as Professor before graduation. Current Ph.D. candidate Domenic Forte of the Electrical and Computer Engineering Department recently accepted a tenure-track position at the University of Connecticut. 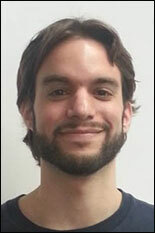 He will be joining the school’s ECE department as an assistant professor in Fall 2013. Forte, who is studying computer engineering, is advised by Associate Professor Ankur Srivastava (ECE/ISR) and is due to graduate this summer. His dissertation, which is scheduled on Thursday May 16th, focuses on two areas of his research in hardware-oriented security: Physically Unclonable Functions (PUFs) and hardware Trojan detection. The key contributions of his work are innovative fabrication-based methods for improving PUF quality and temperature tracking-based approaches for detecting Trojans at run-time. Forte’s research contributions have been well-received and recognized with distinctions including “Best Paper Nomination” at DAC 2012 and “Best Student Paper Award” at AHS 2011. He has also received awards at both department and university levels as a Teaching Assistant, including the George Corcoran Outstanding Teaching Award in 2008 and Distinguished Teaching Assistant Award in 2007-2008. At UConn, he plans to continue investigating new design, fabrication, and run-time strategies for improving the efficiency, reliability, and security of computing systems. The ECE department congratulates Forte on his job acceptance and wishes him luck in his future career in academia.